In the last week of November, the Thai government ratified the International Labour Organization (ILO) convention on Work in Fishing (C188), which protects fishers’ rights, and is preparing implementing legislation to send to the National Legislative Assembly. The ITF, through the Fishers’ Rights Network, will be monitoring the proposed legislation, implementation, and next steps in the process closely to ensure that no fishers are excluded from the important protections that C188 provides. 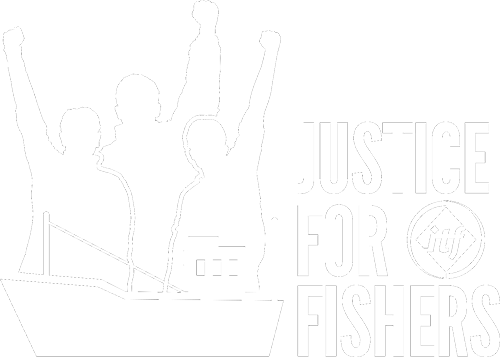 The FRN will also be closely observing enforcement of these provisions, to ensure justice for all fishers regardless of where they come from or what type of vessel they work on. The ILO Convention 188 was designed to ensure that fishers worldwide have decent working and living conditions, and are protected from exploitation. This landmark convention is applicable to all types of commercial fishing and seeks to provide acceptable minimum standards that protect fishers in all aspects of their work, in what is a highly dangerous and precarious occupation. The fishing industry in Thailand has received international condemnation in recent years for the pervasive use of trafficked, slave, forced and bonded labour, as well as dangerous working conditions, long hours, and a lack of legal protections for fishers. There has been substantial pressure from other countries involved in the fishing industry supply chain, as well as labour groups including the ITF, FRN and the European Transport Workers’ Federation, for the Thai government to ratify C188.